The lowly photo slideshow is not dead yet, or at least that’s the hope of the team at Tel Aviv-based EasyHi, which is debuting its new product Slide.ly today, backed by $1 million in seed funding. The company aims to pick up where Slide.com (acquired by Google in 2010) left off. It’s building a slideshow creation tool for the new age, using sources like Facebook, Instagram, Flickr, Pickplz, and Picasa, as well as Google Images, photos from your friends or those from your computer. You then mix that content with music from SoundCloud and YouTube and add – you guessed it – Instagram-like effects. 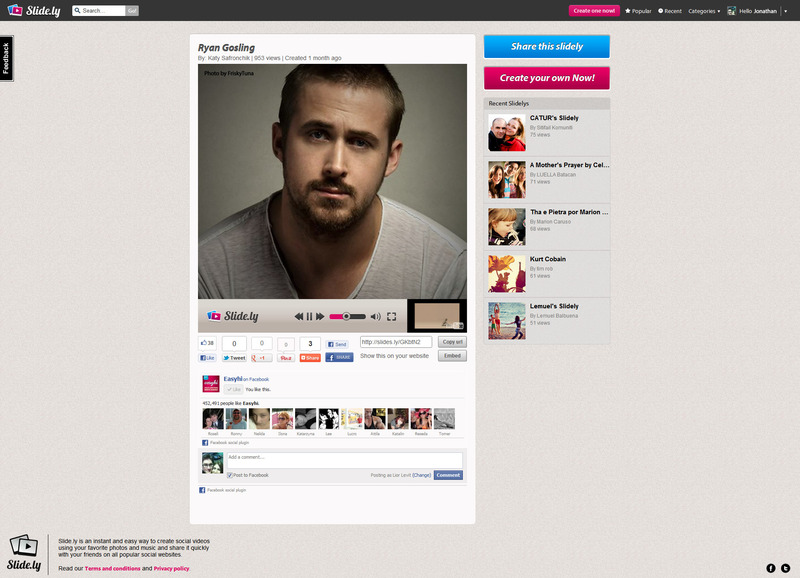 Although there’s no space on Facebook to “embed” your glorious creation permanently, as Slide.com’s shows were once pinned on dizzy Myspace pages, the resulting slideshows can be shared to your Facebook Timeline or page, tweeted or emailed. EasyHi, founded in 2010, is led by CEO Tom More, who has 12+ years experience in building Internet apps, but whose personal passions for music and photography made building something like Slide.ly a good fit. “Creative self-expression is in our DNA,” he says of EasyHi, now a team of ten. The company’s value proposition, at first glance, sounds a lot like that of instant slideshow tool, Animoto, photo collection-sharing service Erly, or many others competing in the space with DIY or automated tools that let you make jazzier, more social-infused alternatives to PowerPoint presentations and online photo albums. Ah, so that sounds more like Storify, it seems, even if Slide.ly is starting out focused on the consumer photo-sharing space. EasyHi, which already has 500,000 installs of its e-card application, plans to grow Slide.ly’s user base by tapping into its current audience. Once established, the eventual business model is to offer a freemium service where things like custom themes and templates could be in-app purchases. Slide.ly is still in closed beta, but there are 100 invites for TechCrunch readers here. Just use the code “techcrunch” when signing up.